In addition to her touchstone address, Nataki will join Hannah Fenlon, Elena Chang, Adriana Gaviria, and Karena Fiorenza for a breakout session entitled, "Asking the Other Question: New Frontiers for Leadership and Organizational Culture". 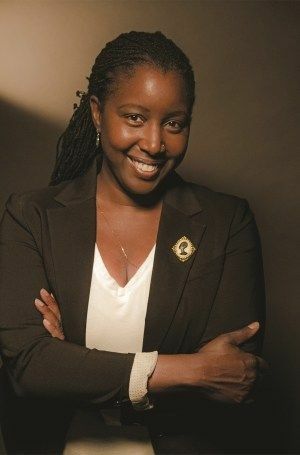 Nataki Garrett is a nationally recognized director and the former Associate Artistic Director of Denver Center for the Performing Arts Theater Company. Since January 2017, Garrett continues to serve as their producing artistic lead during their search for and on-boarding of their new artistic director coming in May 2018. She is credited with producing the most financially successful production ever in their renowned Space Theater in the 40 year history of the DCPA. Garrett also served as the Associate Artistic Director of CalArts Center for New Performance (CNP). Nataki is a Company Member at Woolly Mammoth Theatre Company a recipient of the NEA/TCG Career Development Program for Directors and a member of SDC. Nataki Garrett is co-Artistic Director of BLANK THE DOG PRODUCTIONS (BTD), an LA/NYC based ensemble Theater Company, which is celebrating its 10th year and is dedicated to developing and fostering new work by emerging, adventurous and experimental artists. To read Nataki Garrett's full bio, please visit her WEBSITE.